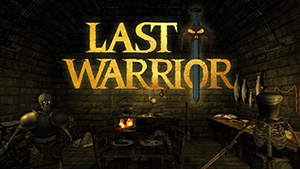 Last Warrior is a virtual reality adventure based on a fantastic medieval world, what makes it special is its gameplay and atmosphere involves the player in the world around them. To achieve this we start from a good story, supported by a gameplay that proposes new challenges and situations as we explore their world. Simple VR space shooter from a first person. 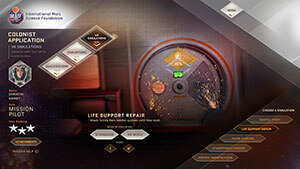 You need to destroy asteroids and to carry out missions with main goal to get to your home planet "Epsilon Prime". Upgrade your weapons and fight with enemies! Receive rating and compete with your friends for the right to be called the best destroyer of asteroids! 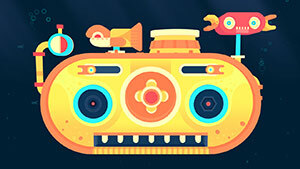 GNOG is a colorful abstract art 3D puzzle-adventure game. You'll be venturing into the heads of various illustrated monster heads (called Gnoggins). Each one has its physically based puzzle to solve. You can rotate the Gnoggin head to further interact with it. Gnog features lovely art design and soundtrack that will magnetize you and empower you to lose yourself in this imaginary sandbox cosmos. Coming to PC, Mac, Linux, and iOS but has VR support for Project Morpheus on the PS4. 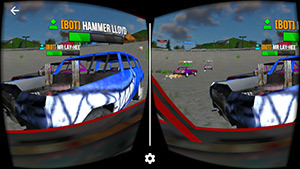 Demolition Derby VR Racing is a competitive first-person car crashing game, like bumping cars, but with real cars. The game features an offline (practice) and a quick match online multiplayer mode, where you are pit against 5 other players online. 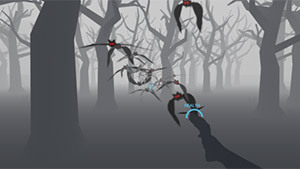 The player that score the highest in a single session wins the match. You can view your stats and choose your favorite car in the garage. Read our review for more information. The Forgotten Forest is a virtual reality shooter game for Google Cardboard and soon (December 2016) for Google Daydream, that tells the story of a girl stuck in a forest infested with zombies and who knows what .Save yourself from those blood thirsty creatures. Don't mix this game with the Steam one, it's a different game. Darkness RollerCoaster VR is a great rollercoaster VR experience where you take an horrific trip into a magical fairly tale environment. Unlike some other rollercoaster games that take place in daylight and are joyful and lovely, Darkness Rollercoaster takes this type of game into a completely different place, dark, horrific and scary. Peronio Pop-Up Book is a holographic virtual reality game (VR and AR) for Android VR. 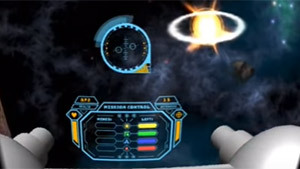 An interactive pop-up book in a game that utilizes virtual and augmented reality to create a unique experience. 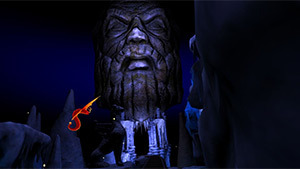 The game consists of exciting challenges and mini games. A magical experience that tells the story of Peronio that wants to be many great things when he grows up, but not the ordinary professional that many of us think about, like being a dentist to dragons, oh boy! MakeMarsHome.com is a 5 in-browser virtual reality working on Mars experiences. You can check out the VR games using your smartphone in a Google Cardboard-style headset in the official website link button .You can also play all of the games on a regular PC or tablet as part of the Recruit Training option. Explore Mars however you see fit. The site is a companion experience for National Geographic’s six-part “Mars” series, produced by Ron Howard and Brian Grazer. On this page you can find a list of the latest and upcoming Virtual Reality App Games for iOS, including iPhone and iPad mobile devices. 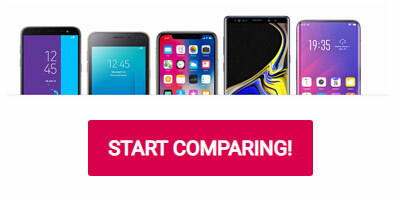 Apple's iPhone and iPad offer a way to bring your gameplay enjoyment to a whole new level and enjoy a fully immersive gaming experience like never before. 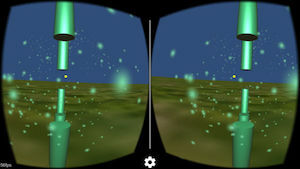 There are many iOS VR games and apps which are compatible with Google Cardboard, Archos VR, Zeiss VR One, Samsung Gear Vr and also Oculus' mobile version of its Oculus Rift headset, which will be solely compatible with the iOS OS for iPhone (e.g. iPhone 5S, iPhone 6, iPhone 6 Plus) smartphone and iPad tablet device (according to earlier announcement). So iPhone and iPad gamers will have the option to choose from a wide variety of Vr mobile games which are compatible with various types of VR headsets. Do you have an iPhone or iPad and love playing VR games? - Make sure you visit us often to find out about the latest VR games coming soon to iOS. This includes detailed, in-depth information about the game's release date, announcement date, game engine, platform version and headset compatibility, reviews, news, updates and much more.